Hnnnnnngh! I worship this color! It's Khloe Had a Little Lam-Lam, and not only did I nab this Nicole by OPI at an uber-discount, I instantly knew what I wanted to do with it. I gave striping tape another try (last time it failed almost immediately) and I'm so glad I did! Enjoy! Beautiful! I love the simplicity of it and the colors work great together. 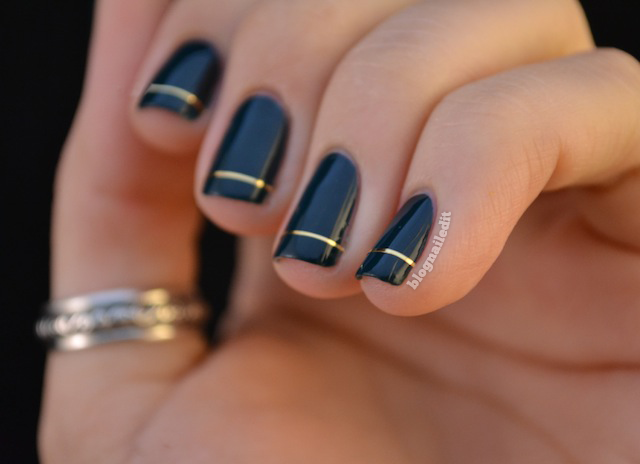 so simple and gorgeous! And ok Love the Spongebob pic!!! i am so glad you gave the tape another try, lol! that looks so chic! what color did you use on the tape? Is there a secret to getting the tape to stay? Ooh so pretty :D I love the added striping tape! 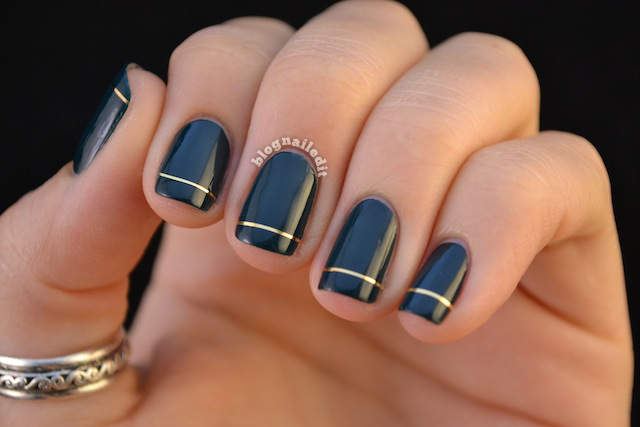 This is super elegant and nice, love it! Yup I love this color too! So dark and rich has endless possibilities for use. I'm also glad you gave the tape another whirl! I LOVE THIS! It looks so elegant and perfect and I want it. Any tips on how you work with the striping tape? I bought a set of 10 and am really bad at it. This is gorgeous. I love the simplicity of it. 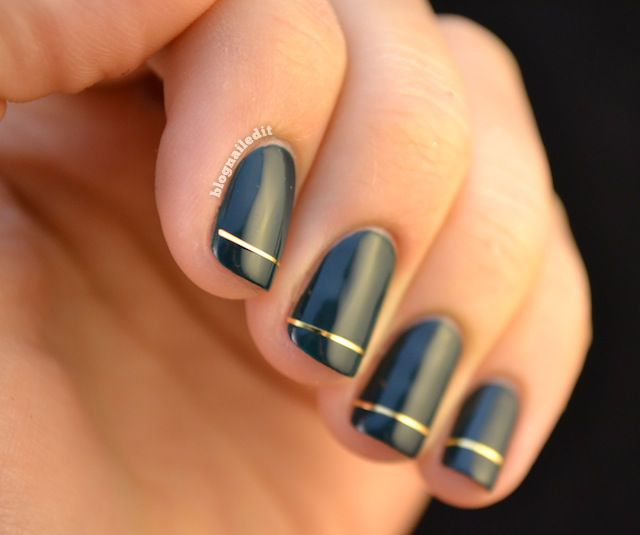 This is so elegant! It looks great! This is a super combo. :-) love it. This picture is how I found you via pinterest. I'm so happy to be following along - your nails are amazing! Having trouble getting my strips to stay down. Suggestions?